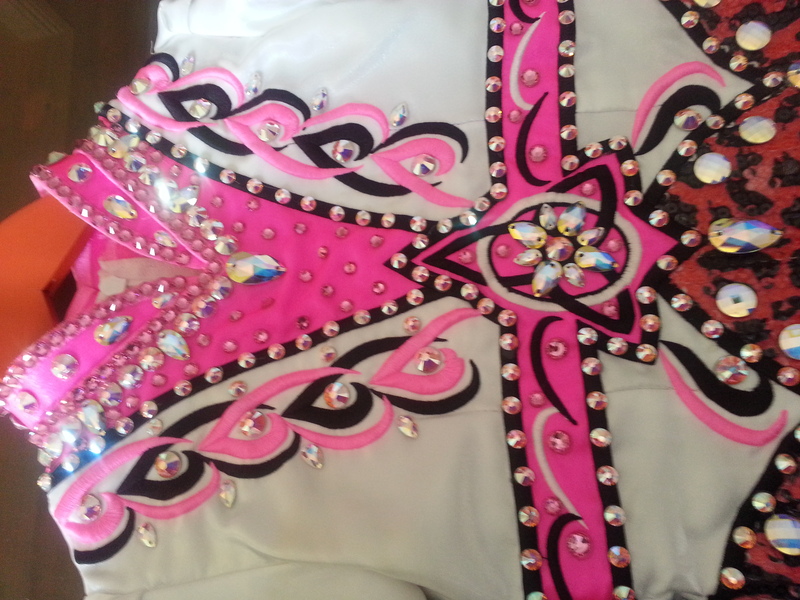 The dress is a jacket style – White jacket with hot pink insert emphaising the neck and collar. 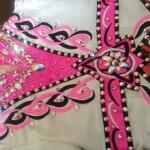 The jacket is outlined in black and pink embroidery which is covered in clear crystals. 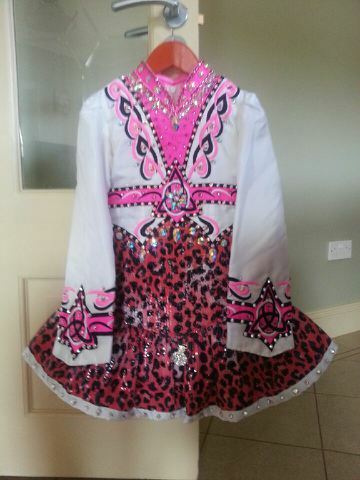 The remainder of dress including the skirt is pink leopard print with a white hem. The dress is very effective on stage. It is in immaculate condition and available immediately. Asking Price: €850.00. Shipping costs are not included in the asking price. Sale is final.